As you may know, ten local galleries are currently collaborating to create Art Trek, a gallery tour with Openings and Artists Receptions the 1st Saturday of each month. AmadorArts, Hanford Street Gallery, AddArt, Chaos Glass Works, Fine Eye, Gallery 10, Sutter Creek Gallery, Little City Studio & Gallery, Valley View Interiors and Petroglyphe Gallery have had a fairly successful year of featured artists and receptions. However, we think that the Amador Art Trek has a great deal of untapped potential, and we would like to expand the event to include other local destinations that feature fine art in their places of businesses. We would like to invite Amador County restaurants, wineries, tasting rooms, and retail shops which feature art to join Art Trek. In 2014, AmadorArts and Amador Council of Tourism will be working together to coordinate and promote Amador Art Trek. As a collaborative project, Art Trek can be publicized throughout the surrounding region as a way to enjoy the many things that Amador County has to offer, including Unforgettable Art, Great Wine, Delicious Food and Unique Shops! Art Trek is a self-guided tour of Amador County with stops at a variety of art-enriched locations. We will draft a brochure which includes a complete map of all Art Trek stops and business contact information. The brochure will also act as an Art Trek Passport, with places to stamp or hole-punch the brochure at each location visited. Once a visitor has received all of the Art Trek stamps, they can turn their brochure in for a special Amador County prize. The 1st Saturday of each month, is a day of special art openings and receptions. 1st Saturdays will be promoted as a premier day to visit Amador County and participate in Art Trek. Participating locations will be expected to host a reception from 3-6pm on the first Saturday of each month. Your reception can include anything that will make visitors feel welcome and feature your place of business, such as finger food, wine, music or guests artists. Remain open and provide refreshments on the 1st Saturday of each month from 3-6pm. If you would like to participate in Amador Art Trek please contact me by February 19th. We will be designing a new brochure in February and launching the new Art Trek on Saturday April 5th. The Sutter Creek Business and Professional Association’s Annual Membership Drive is in full swing, and we would like to ask for your support. Fill out the Membership Application and mail with payment to SCBPA, P.O. Box 600, Sutter Creek, CA 95685. Listing on the www.suttercreek.org website, with the ability to update and change your information, pictures, etc., as the year progresses. Attend general and board meetings. Board meetings are the first Thursday of every month at Hotel Sutter, 8:30 a.m. to about 10:00 a.m., and a reminder is sent out via email about a week before. General meetings will be announced in advance as the year goes on. Advertising. We are closely partnered with the Sutter Creek Promotions Committee, ACRA (Amador County Recreation Agency), and ACT (Amador Council of Tourism), and Amador Community News. With this cooperation, we are able to reach markets that otherwise would be out of our budget. We work hard to ensure that your money is being spent with the greatest return of investment in mind. The Sutter Creek Business and Professional Association’s budget is solely dependent on this membership drive and activities that we sponsor such as the Chili Cook-Off and Car Show. The sooner we have these funds available, the more proactive we can be in promoting Sutter Creek and Amador County. Thank you for taking the time to read this letter and we hope to hear from you soon. Should you have any questions, please contact Linda at the Creeky Cupboard, 267-9314, or Josie at Tomorrow’s Heirlooms, 267-5505. At our annual planning meeting on January 10th, the AmadorArts Board of Directors voted to pursue a series of smaller special events this year rather than continuing Jazzin' It Up in Jackson. As you well know, the event takes a lot of work to put together, and our Board felt that the time of our volunteers could be better spent working on several smaller special events. It is important to us, however, to find other ways to bring a Community Arts event to the city of Jackson. Our fundraising committee will meet next Wednesday, January 22nd, to discuss ideas for special events. We would love to have any input you can offer. Feel free to call or email me anytime. Thank you for everything you have done for Jazzin' It Up in Jackson and AmadorArts. We greatly appreciate your valuable support and look forward to continuing to work together. Sacramento – Senator Tom Berryhill (R-Twain Harte) has been appointed to the Senate Committee on Business, Professions and Economic Development (B&P) today. The Business, Professions and Economic Development Committee has jurisdiction over legislationrelating to business and professional practices and regulations. “This gives me a great opportunity to become involved in legislation impacting our small businesses at an earlier point in the legislative process. I am looking forward to chiming in on these types of bills,” added Berryhill. Berryhill was also named Vice Chairman of the Governmental Organizations Committee (G.O.). He has served as a member of G.O. Committee in both the Assembly and the Senate. Berryhill’s 2014 committee assignments: Agriculture, Banking and Financial Institutions (Vice Chair), Budget, Business, Professions and Economic Development, Human Services (Vice Chair), and Governmental Organization (Vice Chair). Senator Berryhill represents the counties of Amador, Calaveras, Fresno, Madera, Mariposa, Mono, San Joaquin, Stanislaus, parts of Sacramento and Tuolumne. For additional information about Senator Berryhill please visit his website at www.senate.ca.gov/berryhill or sign up for his monthly newsletter here. Four amateur fights lined up for the preliminaries. The main card will consist of six professional fights, including fighters from local training camps. Dedication and hard work, The Association became the first electric rock'n'roll group to perform at Hollywood's Greek Theatre, the Copacabana, Blossom Music Festival and was given the honor to open the first international pop festival in America, The Monterey Pop Festival. Their expansive performance history and fame has put their songs "Never My Love," "Windy," and "Cherish" were among the Top 100 Most Played Songs of All Time. Will be presenting an evening with author and historian Carolyn Fregulia who will be discussing the history of Volcano and of Amador County. On November 22nd we celebrated the 2013 Business Person of the Year, Jackson Rancheria CEO Rich Hoffman, at a dinner in the Jackson Rancheria Hotel Grand Oak Ballroom. This was a first time, sold-out event, with approximately 270 in attendance. Guests were treated to Rick Lipp at the keyboard for pre-event celebration entertainment. 13-year-old blues and rock guitarist Kory Gibbs, rocked the house with skills well beyond his years. The most moving presentations were made by the Jackson Rancheria Miwuk Tribal Chairman Adam Dalton and Hoffman's children. What was learned about Hoffman was not only that he is a great businessman, he is also a great man and he and the Jackson Rancheria Miwuk Tribe have caring hearts, much to the benefit of our Amador County community. The evening ended with great honky tonk music by the 10-Gallon Heart band, with Hoffman singing vintage country and western tunes and playing lead guitar. Thank you Tom Blackman, Master of Cermonies; Susan Manning, Director/Event Chairman and of course Diane and the Chamber offices staff for all your hard work. An enjoyable evening was had by all, celebrating Rich Hoffman and the casino - RANCHERIA-STYLE. Lowe's - Adopts The Arc of Amador and Calaveras, Amador Campus as it 2013 Heroes Project. "Never Stop Improving"
The Lowe's team has selected The Arc of Amador and Calaveras for their 2013 Heroes project. "Lowe's embraces teamwork as a core value and a key ingredient in maintaining an engaged work force. Lowe's believe that by working together they can build something better - for their company, their customers and the community. Lowe's representatives, Karen Briggs Human Resources Manager, has been visiting with The Arc of Amador and Calaveras on a regular basis reviewing building and program needs and bringing Lowes team members in to The Arc to give their professional opinion on where improvements can help. The Lowe's team helped The Arc identify areas that needed improving - new blinds in the windows to help with heat and cold, new benches outside that are solid, new light fixtures, new umbrellas for shade in the garden area, and the list goes on and on. The Martel Lowe's store participates in volunteer projects like this every year as part of an community employee volunteer effort known as Lowe's Heroes. Lowe's Heroes is a company-wide volunteer program that offers its employees the opportunity to support their local community improvement projects. The program has been in effect since the late 1990s and according to company officials, last year alone, Lowe's Heroes were responsible for completing more than 1,300 community and education projects throughout North America. Lowe's contributed more than $1.3 million in materials to support these projects. "The Arc is so grateful for the recognition and opportunity to be recipients of Lowe's Heroes program. Some of the hardest challenges for non-profits are to find the dollars to support capital/maintenance improvement programs, knowing that we were selected for this year's project has been so rewarding. The Lowe's team is phenomenal and we've developed a great partnership with Lowe's! They're always looking out for us!" Said Shawnna Molina, Executive Director of The Arc of Amador and Calaveras. Thomi's philosophy has always been to give customers what they want...a friendly staff, wide variety of great food and prices that keep you coming back. Passionate about food and making a meal an experience worth telling friends about. Loyal guests have given Thomi's the opportunity to open two locations. They invite you to join them for Breakfast, Lunch, Dinner or just a cup of coffee with friends. Host your next event with Thomi's! They can seat up to 200 and have a complete audio/video and sound system. Simply plug in your computer for a wide screen presentation or movie. Catering your event is no problem Thomis Cafe is right next door! Or they will bring it to you. They'll work within your budget to make your event a success! 2013 was an interesting year in Sacramento but I would argue, not one that tackled any big issues. The Legislature left many of those on the table to be dealt with next year. Water, job creation, regulatory reform, prison crowding, and internet gaming are just some of the issues looming ahead in 2014. One of the highlights of last year was an overall fiscal restraint - something I have been advocating for years and believe me, no easy task in Sacramento. It paid off. The Legislative Analyst's Office (LAO) issued a report in late November giving a thumbs-up for California's financial future. That is something we haven't heard in years. Like many Californians, I see that forecast as good news but caution my colleagues to remember that California is in a better financial position partly because the Legislature and the Governor agreed to keep a lid on spending. With carful planning we can keep moving forward and put our fiscal house in a much better position to withstand economic swings as well as address some of the important issues facing the state. Our attention now should be on paying down the so called "wall of debt" that the governor has referred to, NOT spending on new programs and additional spending. When voters approved Proposition 30 in 2012, they were promised that any new revenue would be used for improving our schools, investing in infrastructure and paying down debt. That should continue to be our focus. The LAO stressed a clear need for continued spending restraint, as well as paying off budgetary debts and unfunded public employee retirement and health liabilities. The report warns that if the surplus tax increase revenues generated by Proposition 30 are used for new state spending programs, California could easily slip back into budget deficits on the order of $6.5 - $8 billion in the event of a mild recession. Even under the "constrained" state spending model forecast by the LAO, General Fund spending grows by more than $20 billion over the forecast period and provides for a nearly $10 billion operating surplus. This clearly suggests that the new Prop 30 tax hikes have resulted in a revenue windfall that is far greater than what supporters claimed was needed to simply protect school funding. I do have some concern that the pent up spending demands among some in the Legislature could turn California's current good fortune back into a fiscal nightmare. I share the LAO's belief that caution is needed, and agree with their framework for building a strong rainy-day reserve, paying for past commitments, and limited ramp up of new spending. Our focus for any new spending should be on keeping the promise to help schools improve our children's education and invest in California's critical infrastructure needs. Californians deserve a government that works. Helping people get jobs and strengthening our economy is good for all Californians and will result in a better state for our children down the road. That is how we maintain and grow this recovery. 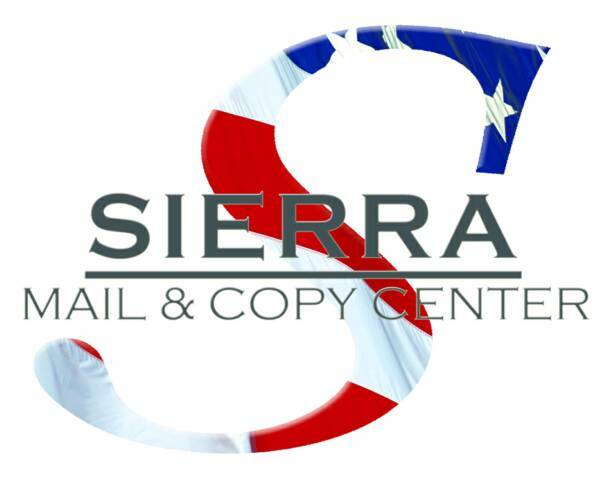 Sierra Mail & Copy in Jackson! Copyright © 2007-2012 Carol Harper. Simple theme. Theme images by PK-Photos. Powered by Blogger.